Cometic Gaskets are built to offer the latest in gasket technology. Materials, manufacturing processes and gaskets are designed to match the high level of performance of modern engines. 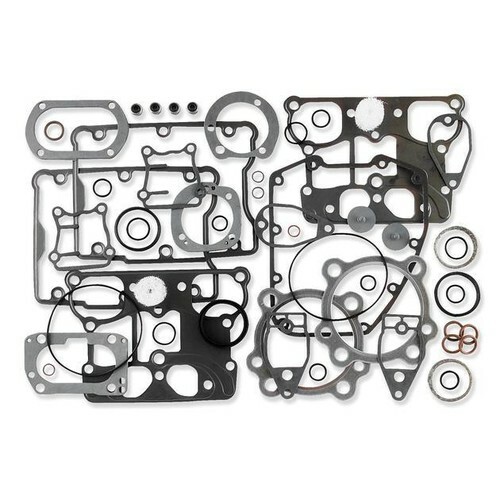 When purchasing a Cometic EST Top End gasket kit, you can rest assured that every component will be the best solution for your application. Got everything I expected. I've used and trusted cometic in the past. Will continue to do so. Right gaskets first time around to get my CRF back to the track. Great quality product, 5 star happy. Bought Cometic gaskets to replace factory Harley Davidson cylinder base gasket. Good quality you would expect from Cometic and all gaskets needed for a top end rebuild were included. Fast shipping and good service and excellent price from Parts Giant. Top end gaskets kits for four stroke models do include valve stem seals.